1. Online licensing for needle-drop license transactions. Prices are based on your own rate card and the license and invoice are delivered at the completion of the transaction. 2. Digital downloads or buyouts. You set the prices for each track and the user can make purchases via the shopping cart and checkout process. 1. Your standard license agreement. This won't change from transaction to transaction. 2. Your rate card. We can accommodate all types of usage and pricing. To see an example rate card in action, click "License Now" on this track details page. 3. Your business billing address. 4. Your PayPal info as detailed in this previous blog post about PayPal payments. To see a quick video of the licensing feature in action, you can watch this video right here as well. All transactions are handled via PayPal so all payments will go directly to you when PayPal settles the payment. To proceed with setting up e-commerce on your site, just send Dan or Andrew an email that includes the 4 items above and we'll get you going. 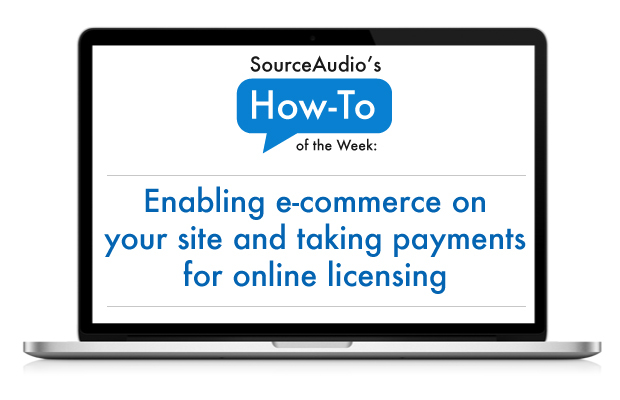 The cost for enabling e-commerce on your site is $29 per month. This additional fee covers the additional support needed to manage and maintain the e-commerce system on the platform.